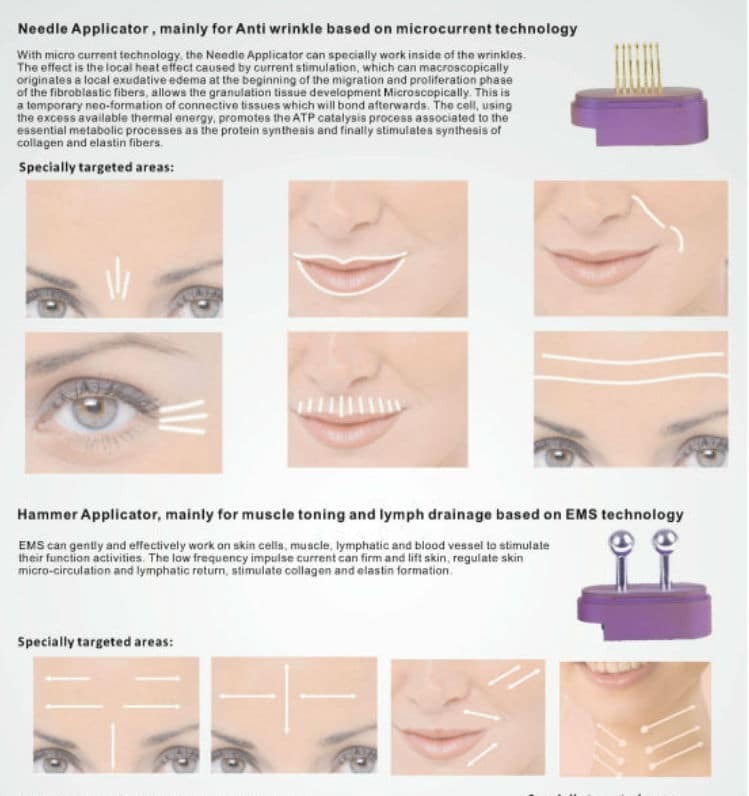 Multifunctional massage head makes the product function is no longer single, Y shape lifting treatment head lick to V – shape face contour, needle heads anti wrinkle and germanium is beneficial to the blood lymph circulation, the use of negative ion import function, make nutrition be absorbed faster, achieve the benefits of anti-wrinkle and tightening skin. Email me when stock is available! 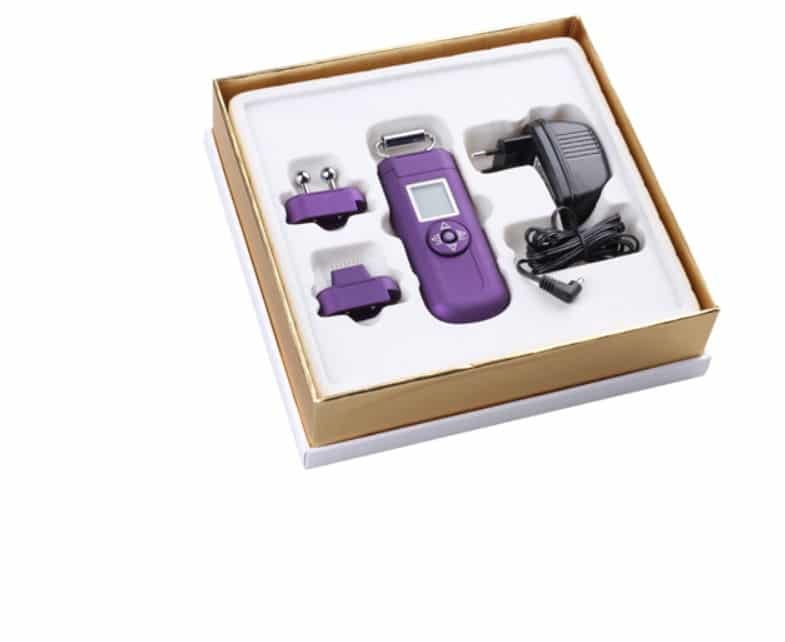 Needle, Roller and Hammer three replaceable treatment head, Facial muscle stimulator facial massager machine can meet all kinds of daily skin care. Adopt with vibration and microcurrent technology, make your skin more firming and smoothing. 2. Face lifting, facial contouring, face slimming. 3. Enhance metabolism and blood circulation. 4. Lymphatic drainage, face muscle toning. 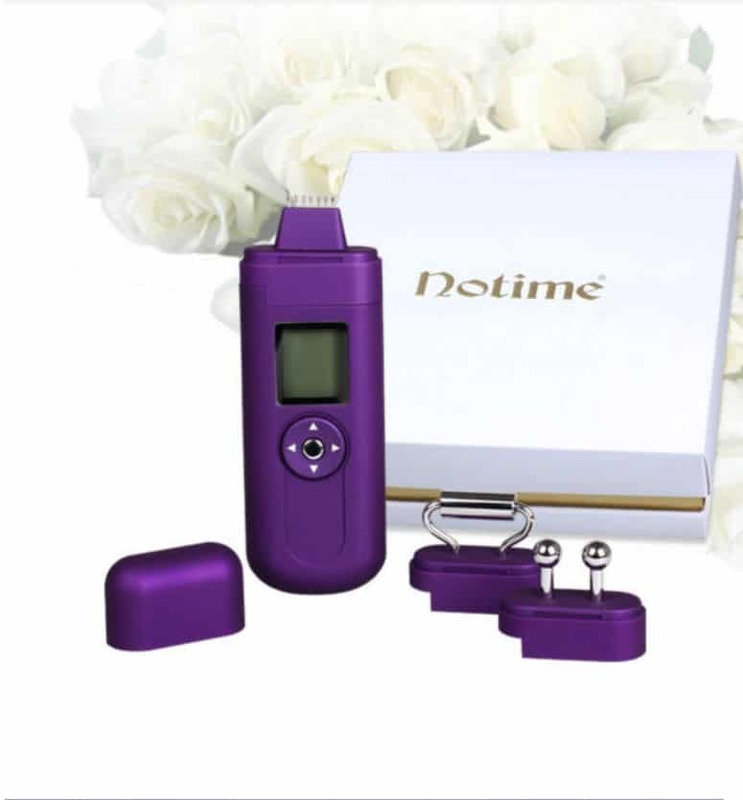 The 7 small needle directly affect the deep skin, the micro current stimulate produce fibroblast cells regeneration to smoothing fine lines and deep lines. 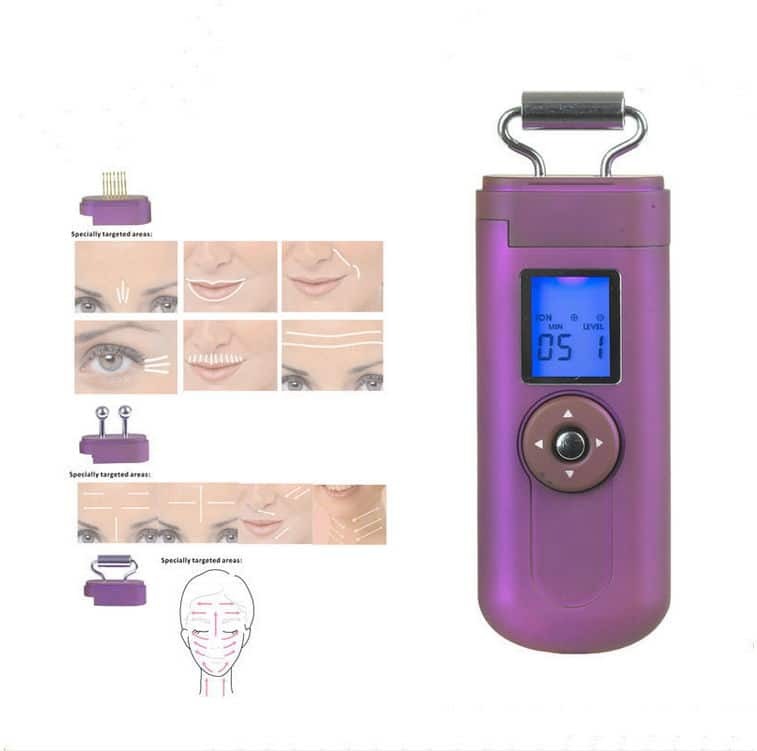 Unique shape design, fit face contour, by the vibration and micro current stimulate collagen production, lift our face to achieve V shape. 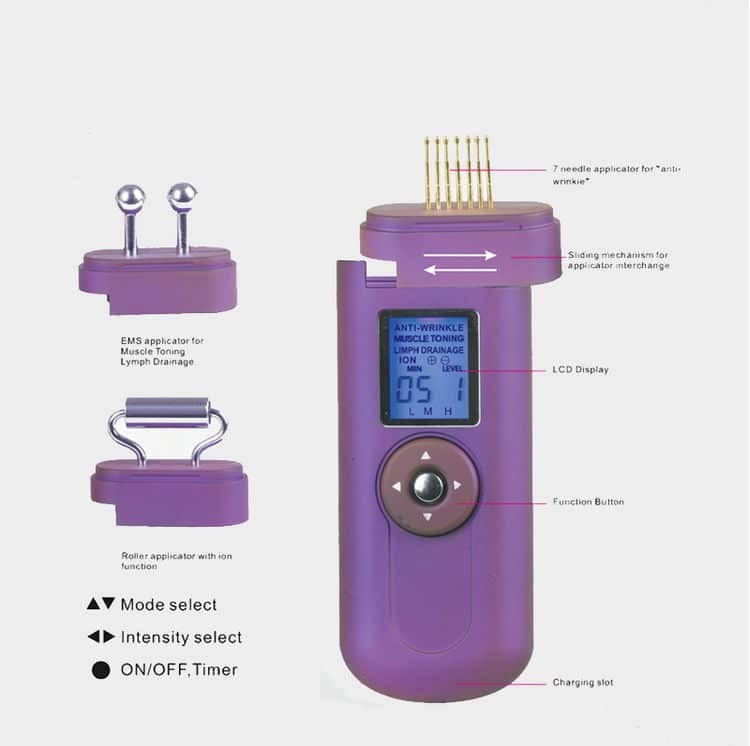 By low frequency microcurrent, the applicator work in muscle, lymphatic tube can enhance detox and promote blood circulation. 1. Age select function from 20 to 50 year old. 2. This device must be connect the adapter during use.